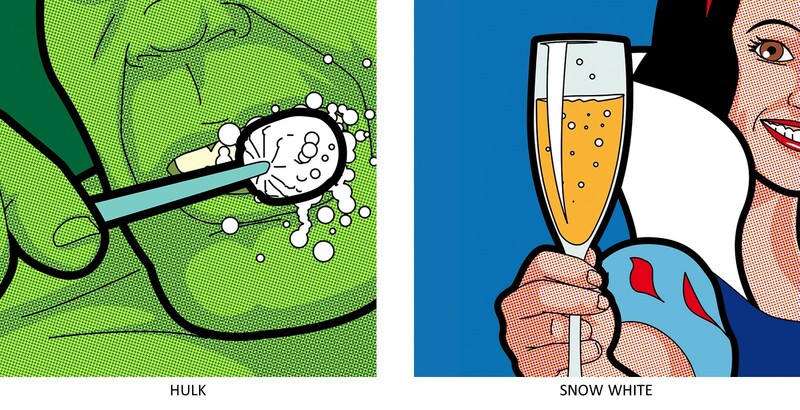 “Secret Life” by Grégoire “Léon” Guillemin… or how behave our favorite heroes after saving the world. It’s true, after all, they might be semi-gods, they remain no less human! They eat, they drink, they have their faults, like everyone else! Recently, Grégoire “Léon” Guillemin highlights this very intimate vision of heroes of pop culture through the prism of pop art 60s And given the success on the net by this series, the secret life of super hero apparently generates a strong interest in the world!